A group of people once approached Philip, a disciple of Jesus, with a simple request—“Sir, we would like to see Jesus.” (John 12:20-21). In response to this, Jesus began to teach about his upcoming death. He had come to sacrifice his life, an act of selflessness that would produce a remarkable benefit for mankind. The crucifixion of Jesus would be such a compelling story that Jesus said it would draw people to him. This is the Jesus that the world so desperately needs to see. Perhaps the only Jesus someone will see this week is the Jesus in you. Therefore, it is of great importance that we live sacrificial lives, not seeking our own selfish interests, but being willing to lay down our agenda for the good of someone else. In addition to our actions, we need to lift up the crucified Jesus with our words. As we lift him up, Jesus says that he will draw them to himself. Just like in the first century, people still want to see Jesus. 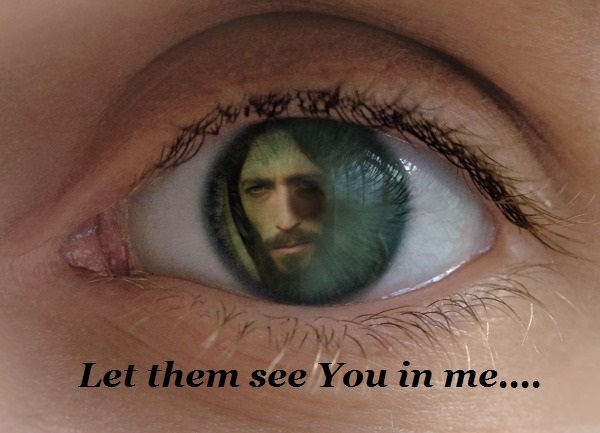 Will they see him in you? This entry was posted in Christian Living, Communion Meditations, Leadership and tagged cross, drawing people to Jesus, evangelism, illustration, Jesus in you, John 12:20-21, we want to see Jesus. Bookmark the permalink.